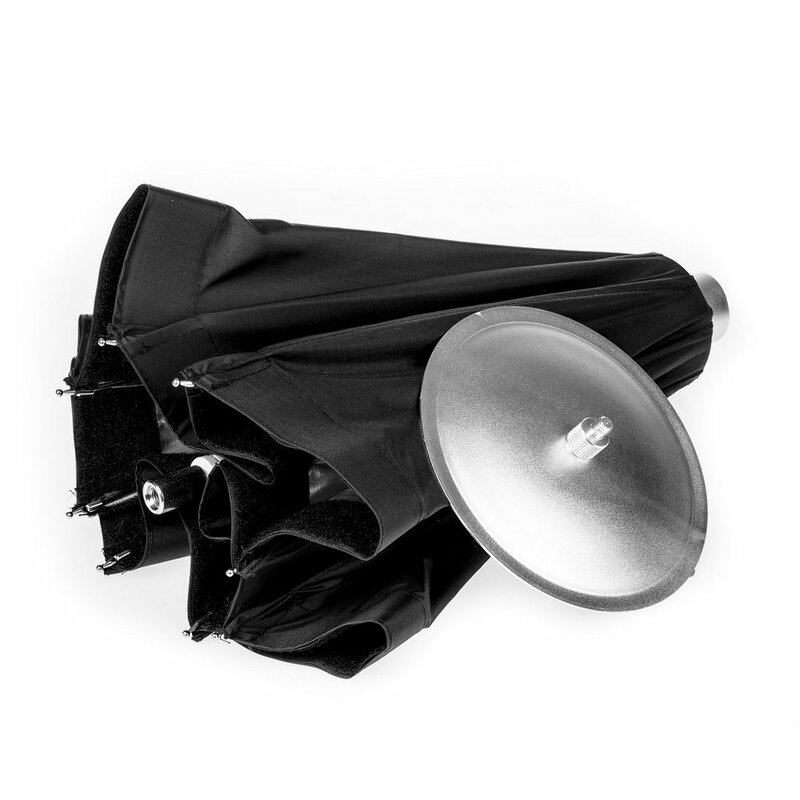 Reporter Multifunctional Octa Softbox can act as a large reflector allowing wide spread of light while shooting. Fixing supplied central reflector transform it into a textile beauty dish, which is ideal for portrait photography. 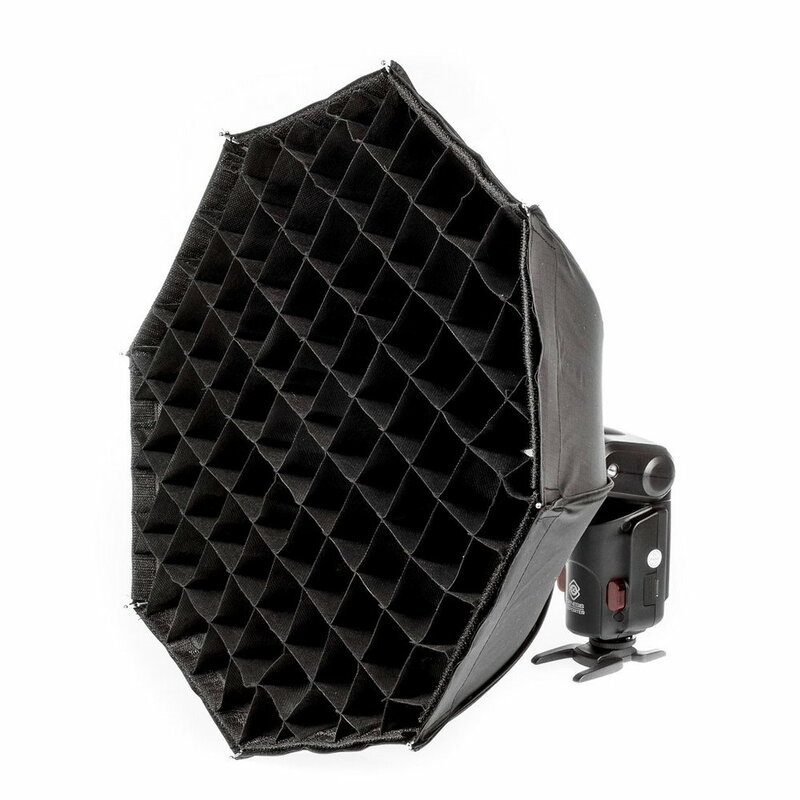 You can also change it into ordinary octagonal softbox just by attaching white diffuser panel. 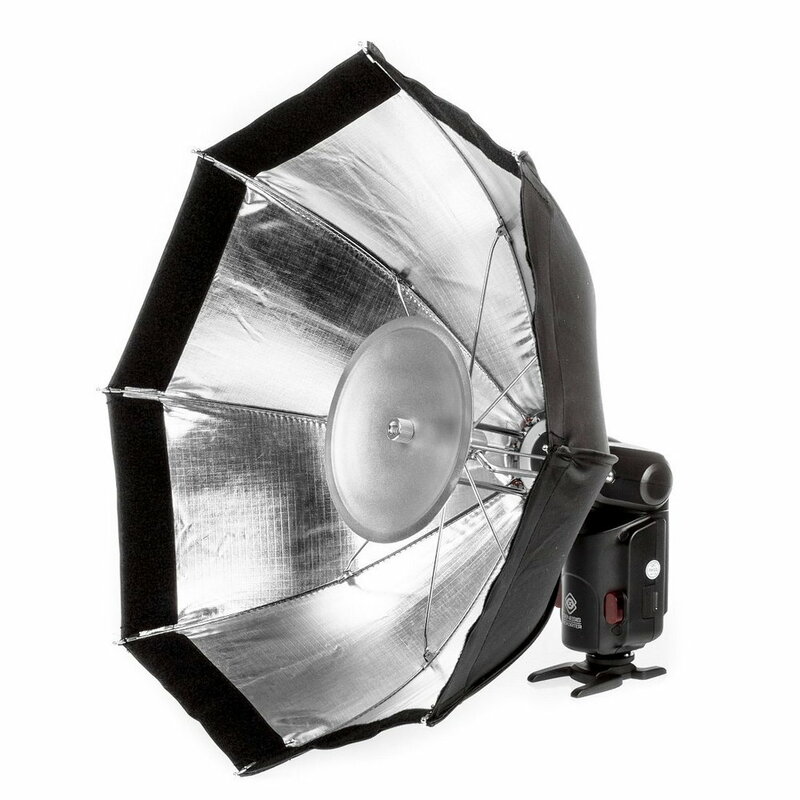 Softbox is supplied with a textile grid which limits the light spread and allows better control of light beam. Reporter Multifunctional Octa Softbox is made of high quality materials which ensure an even light distribution and a correct color temperature. It's also very compact, lightweight (only 410g) and easy to use. 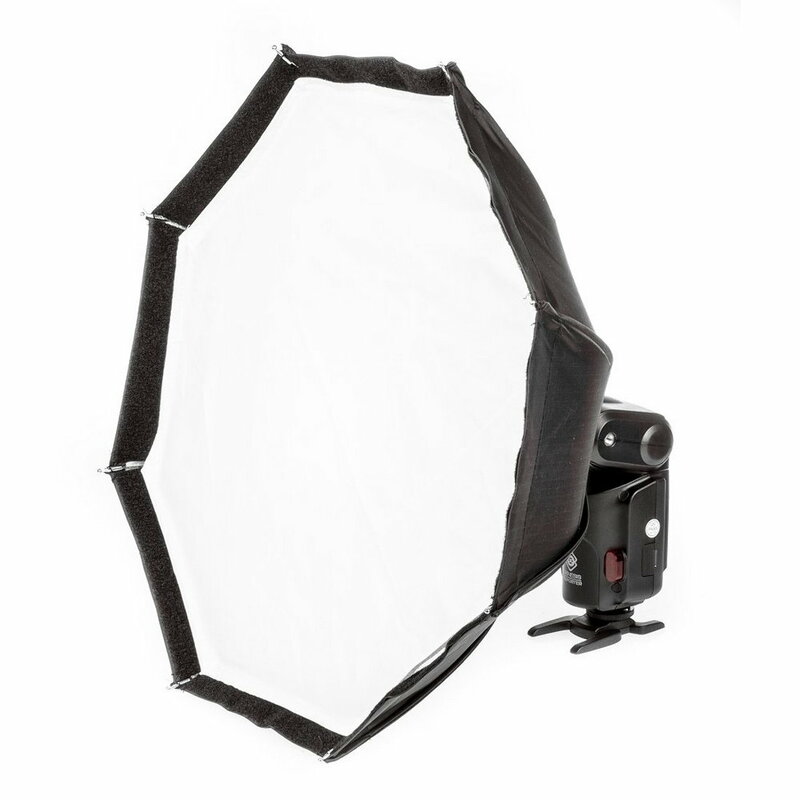 Softbox can easily fit into your bag or backpack.